Home / Uncategorized / Hunter & The Bear: Clapton, crowds and…uh….socks! I was lucky enough to have the chance to interview Will Irvine, lead singer of one of my absolute favourite bands; folk rock group Hunter & The Bear. Managed to sound quite professional once we’d had a colleague edit out all the starry eyed compliments. They’ll be playing Arlington Arts Centre Saturday 30th April. And yes, this is a resounding personal endorsement. Eleanor Reynard (Arts Centre Officer). How did you score supporting Eric Clapton and what was a tour of that magnitude so early on like for you?It was totally surreal. Clapton was looking for an up and coming UK band to fill the slot and our management put us forward for it. I’ll never forget the moment we got the call. We were telling everyone we met.. Lady in the shop, taxi driver, everyone! Playing the shows was really being thrown in at the deep end at such an early stage. It made us a much better band. Having something like that to aim at really upped our level. Terrifying and amazing! Your sound has evolved a lot, going from a duo to a quartet will do that, was there a conscious decision to move towards a slightly rockier style when Gareth and Chris joined – or is that just the way things played out? It’s actually been really natural. Jimmy and I haven’t purposefully changed anything about our writing style, it’s just been a nice progression. It helps to bring in players with such epic skills like Chris ad Gareth. It makes the possibilities endless. We feel a nice sense of freedom when we write and I think that’s pretty important. We’re not writing to anybody’s brief. A lot of our heroes come from the rock scene so I guess it was always going to happen! Having had the pleasure to see you play a few times, you always seem slightly stunned by the size of the queue waiting for you when you get off stage – four years later, is it any easier to get your head around? To be honest, we’re still blown away every time. The queues are growing too! That’s the most amazing thing. It’s always nice to meet the crowd after we play. We have epic fans! One of your latest releases, Wounded, is such a raw and personal song, can you tell us anything about it came into being? That’s a really special song for us. It came about when our best friend got diagnosed with testicular cancer. We didn’t know how best to deal with it so we just tried to be there for him as much as possible. We ended up writing our thoughts down as writers do and that became the song. Sometimes it’s quite tough to get through it without popping out a couple man tears. The message rings true with a lot of people so it’s important that we keep playing it. We’re just getting into the swing of 2016, any highlights so far this year? It’s already been a crazy year for us! The highlight has got to be starting recording on our first ever album! We’ve wanted to do this for ages but we feel like now is the time. We’re releasing 10 songs over 10 months and at the end we’ll package it together on to a 10 track album. We can’t wait for people to hear these tracks. We feel it’s a real step up from anything we’ve done in the past. What are your on-the-road must haves? Lots of socks. Everything else is optional. 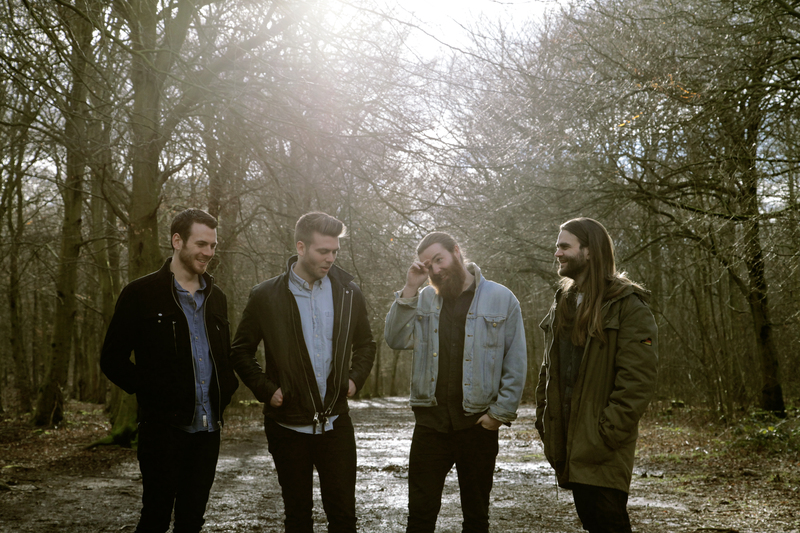 Hunter & The Bear will be playing Arlington Arts Centre Saturday 30th April, 8pm. Tickets are £13 and are available from the Box Office or via 01635 244 246 between 10am-4.30pm Mon-Fri. Alternatively you book online by clicking here.